This cover protects the installed light from the environment to avoid harm and damage to personnel and equipment if broken. 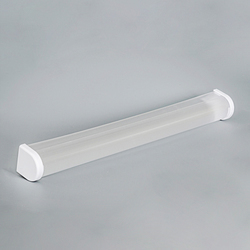 Polycarbonate cover for additional protection of the lamp in LTLN lights. Polycarbonate cover for enclosure lights, LTLN. The cover provides additional protection to the fluorescent tube, to avoid damage during both installation and operation. The cover protects the installed electrical light from the installation environment ensuring that no harm or damage to personnel and equipment is caused, if the enclosure light is broken, which also avoids additional maintenance.